2017 was predicted to be the year that antibiotic resistance really took a turn for the worse… and they were mostly right. A strain of E. coli was found in China that carried a gene making it resistant to some of our last line of antibiotics; the antibiotics so strong they carry side-effects almost as bad as the illness. Not only that, but it was the gene type that is easily shared between bacteria. Once scientists had identified this E. coli strain, countries all over the world identified it in their own backyard. Recently, the WHO has published a report detailing antibiotic resistance in different developing and developed countries (excluding TB, which is tracked separately). The highlights? All countries are at risk. Strains that are most commonly antibiotic resistant include staph, pneumonia, salmonella, and of course E. coli. Tracking and some big changes are recommended. Does that list of germs sound familiar? 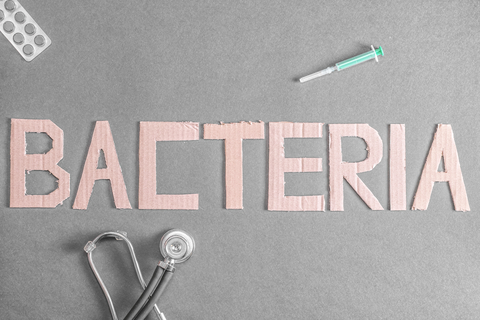 They are common infections, and ones you are likely to face if you visit a hospital, a nursing home, or if you are unlucky when you go out to any old restaurant or buy premade food. The US is also facing an antibiotic resistance crisis with other common infections, including common STIs like chlamydia and gonorrhea. How common these bacteria are is complicating things quickly—people take their round of antibiotics, but don’t go back to confirm the infection is cleared. They are still contagious, and a partially subdued infection will grow into one even more resistant to antibiotics. What can you do? Start big, and be an advocate for smart use of antibiotics. That can be as simple as choosing meat raised without antibiotics, and not taking prescriptions for infections that are commonly viral, like colds and sinus infections. As much as it may be a comfort when you’re in the moment to take action, those unnecessary antibiotics will turn you into a superbug carrier who could face a much worse infection down the line (and it could come from something simple like a scraped knee). The other thing you can do is to take good care of yourself, and to try and avoid being sick in general. Healthy habits like good sleep, nutrition, and exercise are a start. You can also do more to support yourself with colloidal silver. Notably, past research has found that colloidal silver does NOT contribute to antibiotic resistance.